Summary: Follow the same type of diet you see contestant do on the hit TV show. Get a customized diet program. A new but however popular diet program. Coupon/Promotion: Get 3 Free Books When You Sign Up. Be a part of the TV show! 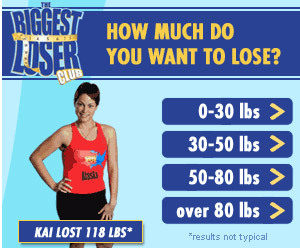 When you join The Biggest Loser Diet Club, you'll get instant online access to the diet and fitness program that are actually used by contestants on the TV Show. What makes this diet program even more attractive is that when you sign up, the diet program you follow is made just for you. By joining The Biggest Loser Diet Club, you'll lose weight with the contestants on the show and interact with experts and even contestants! You'll get a daily meal plan and recipes so that you know you're making and eating food that's going to help you lose weight. A customized fitness program is made just for you when you join where you can learn how you can burn calories more efficiently and learn how to do exercises you can do at home or at work. 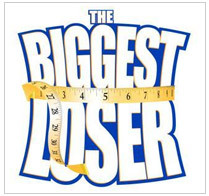 When you join The Biggest Loser Diet Club, you'll get 3 free books as a bonus.